Do you need a tree cutting Las Vegas service? Las Vegas Tree Removal Pros are glad to see you here and available to serve you. If you have a short or small tree, the likeliness is that you will be able to handle the job yourself. However, if it is a big tree, best to leave it to the professionals to take care off. You need to consider safety and need to know how to cut the tree down without causing damage to the property or anyone else. Here we have some basic tips with instruction on how to cut a tree. An expert who has the training and the right equipment is the best option to cut down a tree. 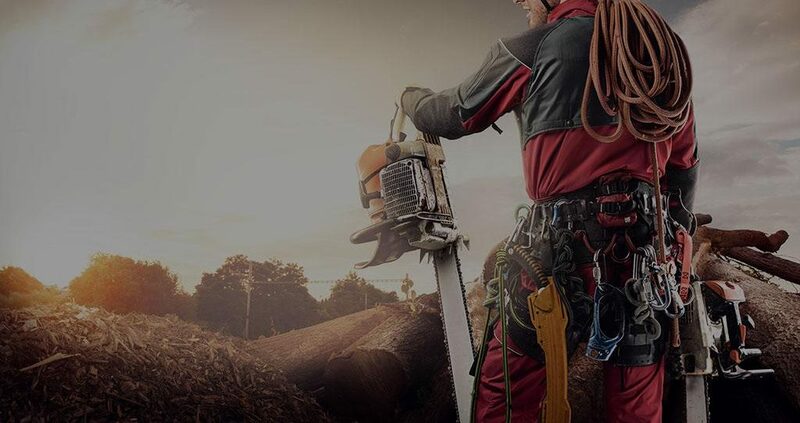 However, if you do not have the money to hire an arborist or specialized tree service the tips and techniques that follow here can help make the job smoother for you. Do you see dead or broken branches? What direction does the tree lean? Are there any branches in the way from other trees? With the questions answered, you need to figure out an escape route as well if things do not go as planned. Your best options to run behind another tree if it does not fall as planned. Take your ax and knock it against the tree. If the sound is hollow, the tree may be dying on the inside. If you hear a solid sound, the inside is living wood and more difficult to cut. Make sure to do this at different heights and points. By doing this, it helps to find a spot that is easier to cut. Figure out in what direction the tree will fall. The best is to pick a direction where the tree will fall naturally. Make sure to choose a spot that is level. You do not want the tree to bounce or roll causing damage to the surrounding area. Make a horizontal cut at your hip height and needs to extend one-third of the way into the tree. Always remember the tree falls vertically with a horizontal cut. Now make a wedge cut that looks similar to a slice of orange. You can make it from the top or bottom of the horizontal cut and place a stick on either side of the cut to make sure you have a straight wedge. Once done, you need to make a back cut. The cut determines how thick the holding wood is. This also establishes how the tree is going to fall. The best is to make it as thick as possible and should be about 1.5-inches above your horizontal cut. As you cut, make sure to place a wedge as it prevents the tree from setting onto the chainsaw. Keep adding wedges as needed and be ready to run at any moment as the tree starts to fall. The tree cutting process is hard work and dangerous. If you feel the above tips are not for you, contact the tree cutting experts to help make the job easier. If you have removed the tree by yourself, we recommend you do not cut the roots and only needs removal if it is a necessity. The only time you remove the root is when they are growing too large, growing to close the foundation of the home or causing damage to electrical systems and plumbing.